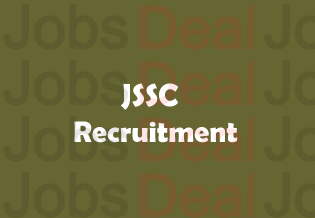 Jharkhand Staff Selection Commission has again called for Combined 12th Standard Competitive Examination 2017 to recruit 3088 vacant posts in their departments and this is to be done through this JSSC Panchayat Secretary Recruitment 2017. People, however, in order to know the complete information will need to download JSSC LDC Clerk Notification 2017 to Apply Online because it will make everything clear to you. So, continue reading. Jharkhand SSC has published a notification about online application form for Intermediate Level Examination 2017. The applications can be filled from 02/05/2017 towards the vacant positions of Clerk, Lower Division Clerk, Panchayat Secretary, and Stenographer. For more details and to download notification or apply online please click on the link given below. Jharkhand Staff Selection Commission has asked the applicants if they are ready to fill up applications and the way through which they will be accepted is only online mode as described in the official notification available on the official website www.jssc.in. All those students who want to join the government service can get the advantage of this recruitment. If you think that there is some problem with the download of JSSC Panchayat Secretary Notification, tell us about it and we will give you another link to download Notification. Age boundary: The age boundary is 18yrs to 35yrs (The Age Relaxation will be given as per Govt. rules). For further details please read the official notification carefully. The link has been given below. Salary Scale: The shortlisted aspirants will get 5,200rs to 20,200rs Grade Pay 2,000rs. Educational Qualification: To know the educational qualification please Download the notification now. Application Fee: The Fee for SC/ST Applicants and for the Domicile of Jharkhand State is Rupees 115/- only and for other applicants is just Rs. 460/-. The Applicants can pay their fee through Challan, Net Banking Debit Card mode. Applying Process: The Application form will be accepted through online mode only. Any other way will be declined. After filling the all mandatory details check at least once filling info. As the fee is not refundable so check the every filled detail before submission.